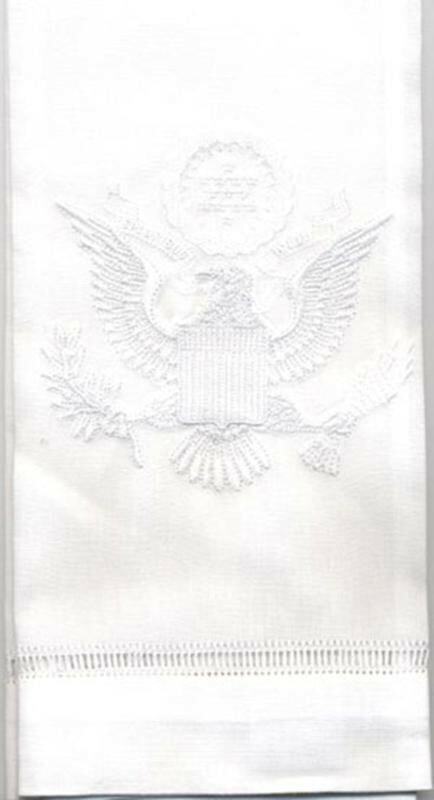 Fine Linen Hand Towel Embroidered with the Great Seal. Made in France. Unique Gift.